These are laugh outloud funny, and I admit to a bias towards Tiptoe. He’s my favorite character and shines in his own book about refusing to go to sleep. 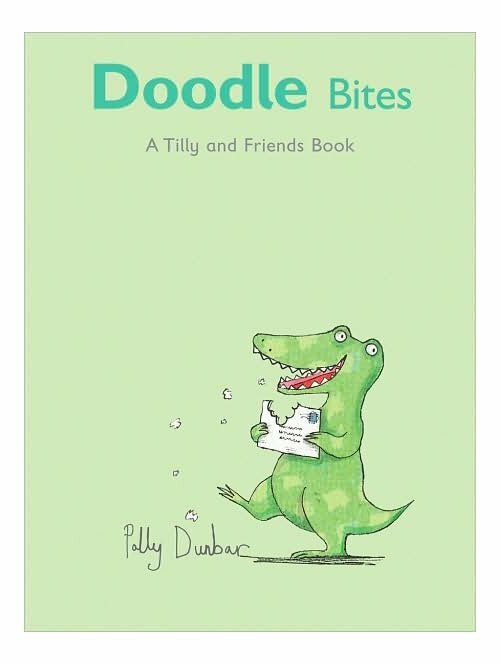 In the opening spread of this post, you see what happens when Doodle wakes up “feeling BITEY!” I just read that this is the end to this Tilly-and-Friends series, which makes me sad, but at least we have these six, perfect little tales for toddlers. 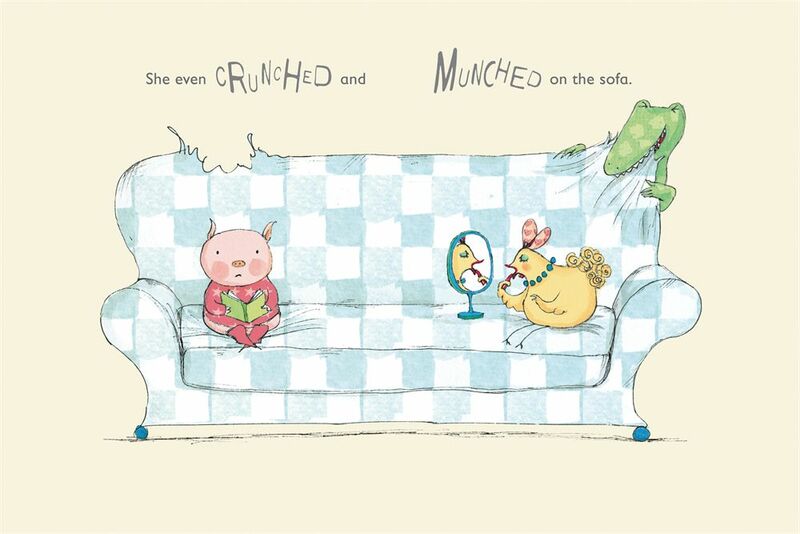 I’ve always admired Polly’s Sendak sensibilities, if you will, but in these, she’s channeling Helen Oxenbury somethin’ fierce, while also retaining her pure Polly style. I’ll miss the gang’s antics, their world of little domestic dramas, but it was fun while it lasted. “‘It’s time for bed,’ said Hector, snuggling in. 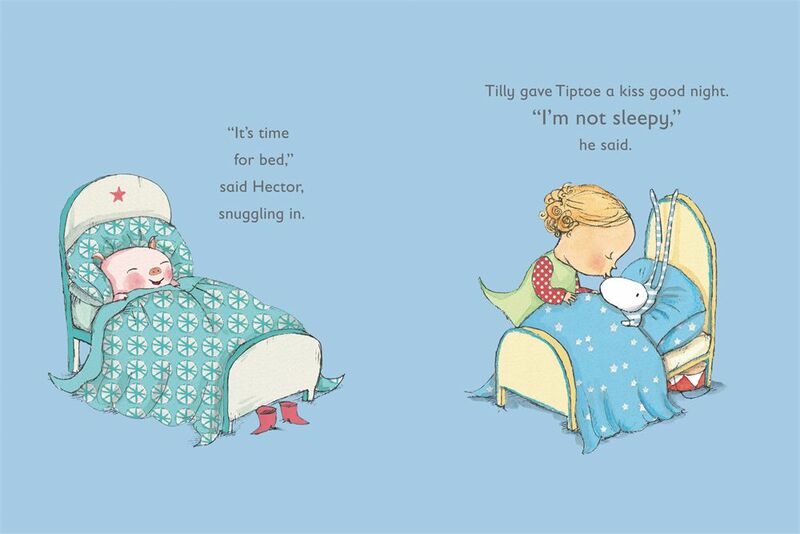 Tilly gave Tiptoe a kiss goodnight. DOODLE BITES. Copyright © 2009 Polly Dunbar. Reproduced by permission of the publisher, Candlewick Press, Somerville, MA. 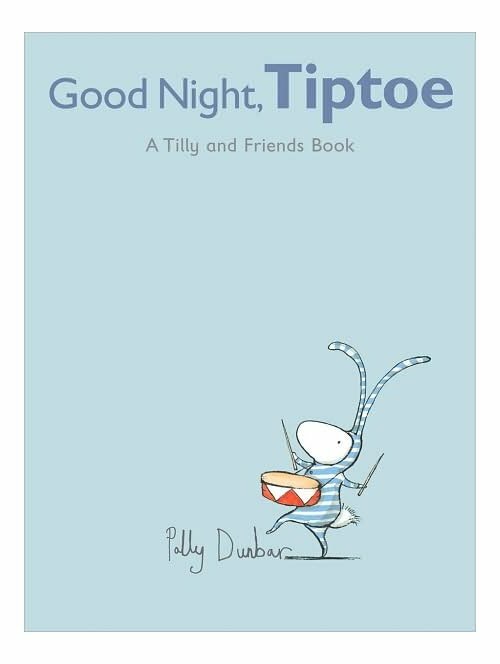 GOOD NIGHT, TIPTOE. Copyright © 2009 Polly Dunbar. Reproduced by permission of the publisher, Candlewick Press, Somerville, MA. WHAT?!? No more??? I suppose Polly will just make something else wonderful for us to fall in love with, but still. I need to try one of these books in storytime. I keep forgetting to. Well, there is one book for each character now, so I bet it is true. These would be big story-time winners for the toddler crowd, Adrienne. If you end up using them, let me know how it goes. I’m gonna miss Tiptoe and his drums. I love Tiptoe’s striped pajamas. He reminds me of Harry Horse’s Little Rabbit. Do you know those books? There’s one, which is my favorite, where Little Rabbit goes to his first day of school, gets into mischief, and keeps blaming all the mischief on his little wheeled horse toy. Yes, I do know those, but I’m not familiar with that particular one. Will have to look for it. 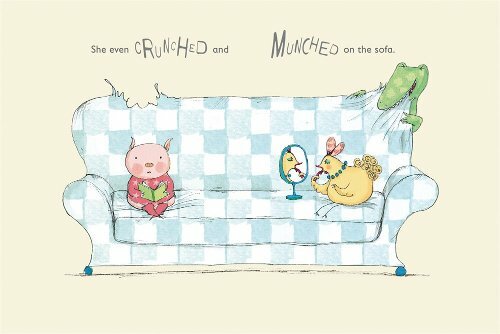 I am in love with the first illustration in this post, Jules — please tell me the name of the lipstick-wearing chicken and the pig on the couch??! Did I miss that somewhere? They are adorable! For some reason, I’ve always had a soft place in my heart for chickens, although not the real ones — the rubber kind and the cartoon versions. I went back and read your wonderful interview with Polly, and also went to her fantastically creative website. I’m now a big fan — thanks! That’s Pru, Jill! She has her own book called Pretty Pru. She likes to put on lipstick and such. A lot. I just love Polly Dunbar’s picture book art. These new books look delightful. Like Alkelda, I haven’t read any of the books in the series either. I’ve been a fan of Polly Dunbar’s art for a few years now. Sort of old-fashioned (a bit Sendakian, as you say), and yet completely distinctive and original. So charming.